A fruity keeved cider, partially fermented in oak barrels. Keeving and initial fermentation takes place in large vats but on Burns Night the young cider is transferred to Scotch whisky barrels to finish and mature. 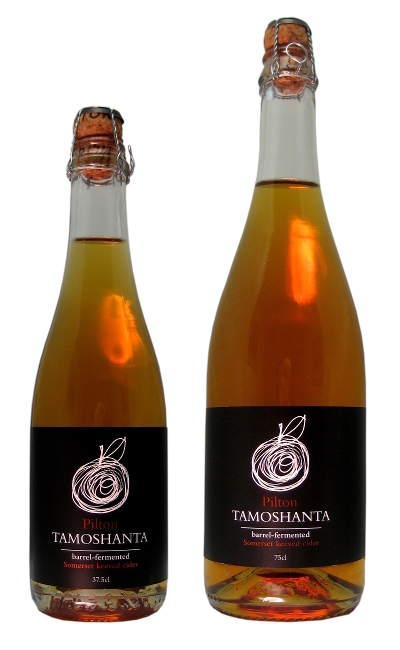 Medium sweet with smokey vanilla tannin, Tamoshanta is great served chilled, with Somerset Cheddar.